Old photograph of plant from California, USA. 01 Sep 2017. © Out of copyright. La Jolla, California; fronds have been lost. 04 Sep 2009. M.D. Guiry. © Michael Guiry (mike.guiry@nuigalway.ie). Published in: Setchell, W.A. (1908). Nereocystis and Pelagophycus. Botanical Gazette 45: 125-134. The type species (holotype) of the genus Pelagophycus is Pelagophycus giganteus Areschoug. Large Californian kelp 7-27 m long (Abbott & Hollenberg, 1976) known from Point Conception California to Isla San Benito, Baja California, México. Lewis, R.J. & Neushul, M. (1995). Intergeneric hybridization among five genera of the family Lessoniaceae (Phaeophyceae) and evidence for polyploidy in a fertile Pelagophycus x Macrocystis hybrid. Journal of Phycology 31: 1012-1017, 2 figs, 1 table. Accesses: This record has been accessed by users 3704 times since it was created. Coyer, J.A. & Zaugg-Hagland, A.C. (1982). 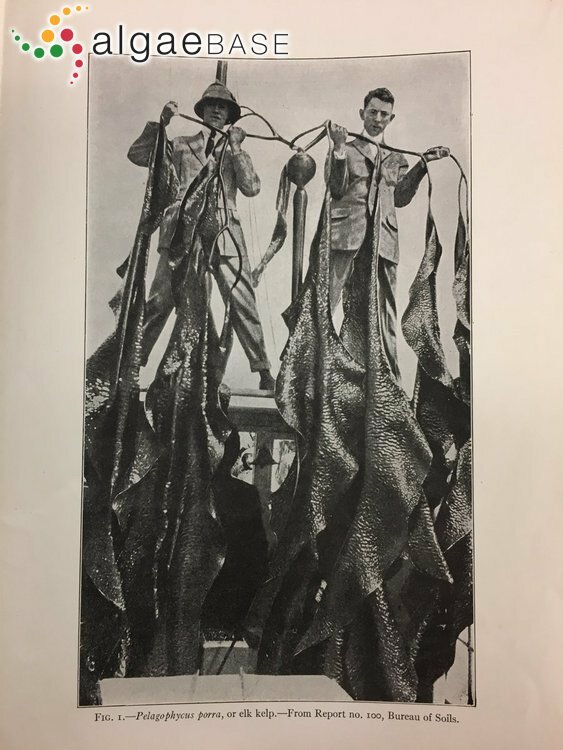 A demographic study of the elk kelp, Pelagophycus porra (Laminariales, Lessoniaceae), with notes on Pelagophycus x Macrocystis hybrids. Phycologia 21: 399-407, 5 figs, 4 tables. Miller, K.A., Olsen, J.L. & Stam, W.T. (2000). 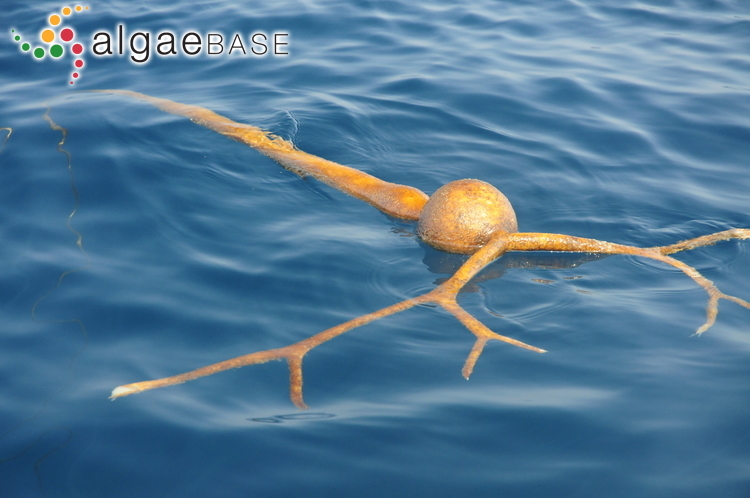 Genetic divergence correlates with morphological and ecological subdivision in the deep-water elk kelp, Pelagophycus porra (Phaeophyceae). Journal of Phycology 36: 862-870.